Lynn Crawford, Simply Separate People, Two, The Brooklyn Rail/Black Square Editions, 2011.
and now, just published, is SIMPLY SEPARATE PEOPLE, TWO. less a sequel so much as a second variation on her theme of the quotidian mixed with the uncanny. the focus here is storytelling, our urge to be storytellers, and what stories tell about its teller. crawford has her suburban mother narrator retell stories by hemingway and henry james in such a way that our view of ourselves turns almost unconsciously satirical and/or creepy. Here is what happens. One morning, a mom, pretty, dressed in a sweat suit, sneakers, approaches me at morning drop off. She tells me I look fit and wonders if I exercise. I tell her we have a swimming pool on our roof and, in warm weather, I sometimes swim there. But otherwise, no, not really. She tells me she and a group of mothers go to a nearby gym ever morning to triathlon train, and invites me to join them. Maybe tomorrow? She points to the group. There they stand. Oh, I think, those women. I have, honestly, noticed them, admired them, felt dwarfed by them. They are not the professional moms, carefully dressed, with no time to linger. Not the tired looking moms carrying chewed up sippie cups, wearing sweat suits that they might have slept in, with strands of dog hair on the seat, huddling together, complaining about how dirty their kitchens are, how much weight they have put on. Not the moms in tunics and flip flops, dreamily heading off to yoga or meditation. No. these moms wear pony tails under sports caps, tinted moisturizer, clear lip gloss and seem to be (like the professional moms) in a hurry, or at least revved up (99-100). "In Simply Separate People and earlier works, such as Fortification Resort Lynn Crawford focuses on the leisure time of the leisure class. In her new book, Crawford, an occasional writer for the Rail whom I have known for a number of years, complicates things by placing her chosen content in a comparative perspective, resetting the plots of earlier novels in modern days and dress, so that every alteration she makes illuminates a distinctive difference between eras. The upper middle class in Crawford’s portraits do not, like, say, Fitzgerald’s in Tender Is the Night, spend leisure time at resorts where they can relax, flirt, swim, and mingle. Instead, they engage in often strenuous, always physically or mentally enhancing activities, attending retreats, going to yoga classes, taking triathlon training or, in one story, visiting a SACRED FLOW = TRANSFORMATION conference. Her attitude toward their pursuits is near satire, but not in the acerbic form one might find in Huxley’s Crome Yellow or Waugh’s Vile Bodies, for it is not without empathy, her cool, measured sympathy that places every scene in an unflinching, unflattering light. The leading innovation, just noted, comes about because the book’s protagonist, a housewife, has become distressed and bored with the cattiness and exhausting routines of her fellow homemakers, who, though they don’t work, find other competitive pursuits. “Hobby engagement (style, golf, religious devotion, choral singing, cooking, knitting, fitness routines and levels, book clubs) is…cutthroat.” So, she decides to write two novellas, based on works by Hemingway and James, to help her think through her circumstances by contrasting the moneyed, then and now. This one difference inflects the whole surface of the book. In Sun, all the men have served and been warped by the world-shaping war. There is a shared, bitter, male Zeitgeist. In our age, when only a few serve and most ignore our country’s foreign conflicts, those who have participated are unreadable to others, even in intimacy. As this example and my earlier remark about the change in leisure pursuits suggest, the alterations Crawford makes in her rewriting are used as a commentary on historical discontinuities, but I hope this thought doesn’t make you think Simply Separate People, Two is a dry exercise in comparative ethnography. In fact, the book is a lively, readable set of narratives. First, the precise, witty examination of the narrator’s suburban (then urban) community; then, a rich social portrait of the interlocked social circles of the Hemingway revision; and finally, the unsettling, disturbing recasting of James’s Turn of the Screw. back of one cheek. They look a little older than my older cousins. your mouth and lips look blood red,” says the one named Dave. Here the colors — orange, green, red, and the fireball jawbreaker we imagine to be so far sucked on that what’s currently in the narrator’s mouth is the very small very white very hot center ball with its red outsides worn off somewhat though not completely, patches and swirls of red still on the pale little globe in the cheek, the outer glossy red spread over the narrator’s mouth and lips — are foregrounded. The colors are as central as the characters, occupy the same figure/ground. A sudden and surprising introduction as in real life when we stumble on someone new — and yes, this is the first time we meet these characters. Dave is green, Chris is orange, the narrator is a sucked-on fireball jawbreaker. When Dave notices narrator, green notices red. The colors seem to detach a little from the prose, float above it, removed and yet hovering over their objects and owners. All is primary. Nothing is muted. Color as charge. The eye has to shift fast and hard taking in each strong color. Color as many neurological synapses going off at once. 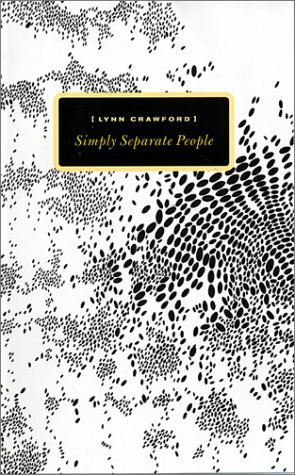 Lynn Crawford, Simply Separate People, Black Square Editions, 2002. "Set in a nameless medium-sized city somewhere in the United States, Simply Separate People traces a group of characters navigating the everyday world with a blend of practicality and fantasy. The title of Lynn Crawford's latest fiction was inspired by a Walt Whitman line: "Oneself I sing, a simple, separate person…." It reminds us that we are all obviously separate, and less obviously, very much linked. Crawford's creatures fall in and out of love, they misunderstand one other, but they're linked by obsessions and quirky perceptions. She has turned a magnifying glass on middle-class Middle America. 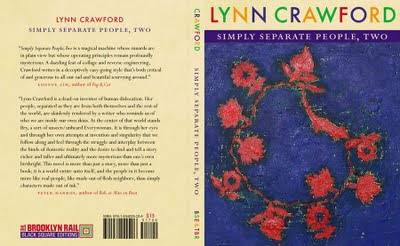 Lynn Crawford worked for twelve years as a social worker before she turned her hand to fiction writing. She has published two works of fiction (Solow, 1995; Blow, 1999), and contributed to numerous anthologies (among them: The Oulipo Compendium, 1998; Fetish, 1999). She has written numerous essays on contemporary art, as well as contributed reviews of art and literature to such publications as Art in America, Bookforum, American Ceramics, and the Detroit News. She lives outside Detroit." "Inspired by the Walt Whitman line "Oneself I sing, a simple, separate person," Lynn Crawford's novel traces a group of characters whose outlook on life blends practicality and fantasy. Linked by obsessions and quirks, they fall in and out of love with each other, and remind the reader of the inextricable ties that bind us all." "Lynn Crawford is the sort of writer who is very difficult to pin down; each book feels at once entirely hers but at the same time not like the others. Her first book was a collection of odd, sometimes oblique stories that were compared to the early fiction of John Hawkes For the actor, see . For the tennis player, see . 1. A peculiarity of behavior; an idiosyncrasy: "Every man had his own quirks and twists" Harriet Beecher Stowe. 1. Conspicuously unconventional; bizarre. See Synonyms at strange. 3. Located far from civilized areas. 4. Archaic Of foreign origin; not native. It’s how we watch people, stories, texts, life itself. The mind follows where the eye takes it. A scrap of paper flitting in the wind, a bird caroming off the bay window, hair dripping rain — our eyes are compelled to follow the flash of movement or of changing color, with little thought given to why or where. It’s only when the process is engineered in a novel that there’s the luxury of reflection. So when we watch the busy, nearly obsessive preoccupations of Crawford’s women in Simply Separate People, we can later reflect that “desperate,” not “obsessive,” is a truer characterization of their lives. Happily, the desperation does not devolve into a novel of nihilism, but into a pep talk for hope. 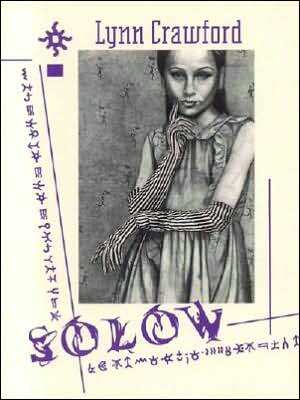 Having authored one rather experimental short story collection (Solow) and one postmodern novella (Blow), Crawford, of suburban Detroit, has played it structurally safe with her first novel, with above-average results. The familiar theme of Simply Separate People is loss and how to survive it. Four different narrators work through the novel and their own pain by immersing themselves in passionate distractions — cooking, sewing, gardening, exercise, yoga, meditation, nutrition. In fact, the book’s early going seems to imply a sardonic portrait of the narcissistic young urban professionals (yuppies) of recent yesteryear, until the reader learns that the characters (uniquely and functionally named Physh, Trowt, the Seamstress, Pumper, Bry and Euge, among others) can only successfully deal with the tragic loss of family by becoming self-valuing and purposeful in dedication to trades, professions and interests. These include everything from growing organic food to studying and practicing “appearance analysis” (psychoanalysis of hair, makeup, clothes and accessories). Instead, they share talents, skills, information and love for one another, essentially surviving the deaths by throttling up their own lives. Recover from death by living full, Crawford coaches. Work through grief by celebrating yourself and those close to you! Become healthy, strong, sexual, fertile, skilled; be the best you can be to get past the pain! Every image you see in life (thus, the absolutes) comes on a menu, so eat! Or Trowt (his nickname from his tenure in a rock band stuck), a chef, whose secret ingredient in his chocolate cookie recipe triggered rage in the pets of those who ate them. Or the Seamstress who gave “donut and wine” rather than cheese and wine parties, since people seemed to relate and have more fun at the former. 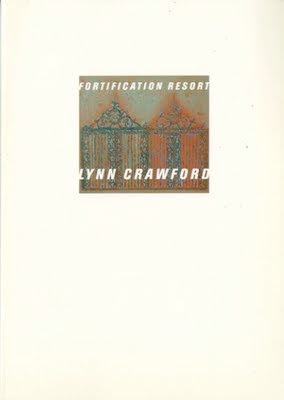 Lynn Crawford, Fortification Resort, Black Square Editions, 2005. "Poetry. Inspired by artworks and originating from her work writing art reviews, Lynn Crawford's collection of prose sestinas is her way of "prolonging engagement" with what she is not ready to leave. She says, "I do not attempt to explicate the artworks, but do try to establish a certain form of exchange between the artist and myself... Viewing art, talking and writing about it, generates a richly collaborative dialogue." Crawford looked for a formal structure to inform this project as a whole and found it in the sestina, a poetic form that relies upon six recurring keywords, six lines, six stanzas. 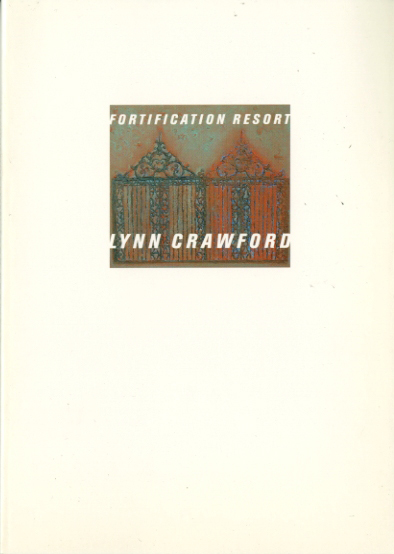 "FORTIFICATION RESORT's multi-perspectival prose proposes imagined worlds contiguously saturated by modes of nourishment and shapes of loss. Crawford's structured improvisations delineate microclimates of strangeness, civility, fullness, and insufficiency within human community. Her quirky sentences are remarkably palpable and personal, bringing the reader crazy-quilt close to object meeting skin." Lynn Crawford, Blow, Hard Press Editions, 1998. "Late winter, early evening, Ifti - a lean young adult - sprints out of Roi Atfu, her small alpine city, with a tread that is soft, barely audible. Stars start to mark the darkening expanse of sky." Imitation trees tower a building, my home, set at the base of Mount Anf. I lie in it now, cheek to the floor, wadding material, tomato colored, or the color of near ripe tomato. Something goes on here, not what I love; I love audience. My alarm is beeping, I must rise for work. My job, audience; my apparel, distinct circular patterns (spirals, loops, coils), functioning as pure decoration and operative equipment. 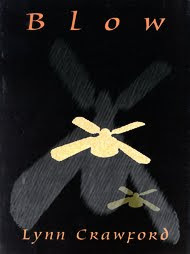 When activated, the bands of plastic draping my hat rise, recast as one rotating wing, shoot me up to a range of elevations; from there I hover, watch, scan. The set of coils strapped to my back, camouflaged as a pack or mod shawl, is a motor responsible for horizontal movement, hurtling me along a single plane forwards, reversed, over streets, bridges, houses. The apparel, designed by Uncle, is gear so lovely, so functional, I could wear it to dine or shop in a cosmopolitan area, even to wing around the world, but I stay here near Mount Anf whose bounds are deceptively small; what they contain is fascinating. My job is audience. I have never snapped a picture, or even held a camera. Off hours I sleep, eat, attend to sensations not visual. Before my birth, Uncle established Mount Anf—an, artificial hill, its surrounding city—as an organized matrix for probes, trials, experimentation. Now, as then, it sits in the center of a region of chaos. My job is audience, but this week I spent more and more time at home, last week too. I have been overspending time there. Before leaving it today I drink two strongly boiled cups of imported coffee, eat two much less strongly boiled imported eggs. My neighbors, Kip and Hoyle, non-biological siblings, inhabit the most wildly decorated home in Mount Anf. The couple is well known: Hoyle, Uncle's chief assistant; Kip, a lead rocker and song writer. They sport a similar, not identical look: caps, gloves designed by Uncle, fitted jeans and brightly colored chaotically patterned material also designed by him. Both are bone thin, bow-legged. Hoyle wears thick, heavy framed glasses (Uncle wears glasses too, thinner than Hoyle's). Kip and Hoyle's downstairs ceilings, walls, floors are painted light blue, flecked with pebble and boulder sized darker blue spots. Furniture—throw pillows, lamps, several small tables, a massive rectangular table—is yellow. One portion of the ceiling opens up to the sky for stargazing and ventilation; a strobe—made active by the couple after dinner, during parties, and when Kip practices rocking—hangs from the other ceiling portion. Usually Kip and Hoyle are last on my route, but this evening I am cranky, and change the pattern by making their home my first stop. Downstairs is empty, but through an upper-level window I see Kip settled on the floor, back pressed to the wall, legs spread open. I had forgotten this is his standard position early weeknights. Glitter dusts his ceiling; a wallpaper design of alpine skiers, faces turned up toward the sky covers the room's four walls. To Kip's left, a row of switches embedded in a mound of plastic; he now presses one switch to start the projector behind him, which plays a film documenting Hoyle at work. The first shot, a close-up of Hoyle, right eye pressed to a magnifying glass, drafting her patterns on paper. A second sequence shows Hoyle ascending the slope of Mount Anf, lugging her cart of excavation materials. Swarms of plastic (battery operated) insects head toward her. A backdrop of mountains, rays from a sun that looks hot, fixed, shining, frame these shots of Hoyle working Mount Anf. The third and last shots depict Hoyle and Uncle in wide-brimmed hats, and heavy eye make-up (protection from sun), alternately lunching (high table, shoulders poked out over china), and discussing Hoyle's findings. The film is short, four minutes, and possibly new; it is the first I have seen of it, and I am familiar with Hoyle documentaries. I stay through two runs with Kip, immobile on the floor, a position he maintains for medical reasons. Resting my chin in my palms, I use the timepiece draped around my neck to count three, then four minutes pass in silence—word silence; my heart pounds noisily, and with the urgency of a train, speeding, uninterrupted. Kip finally keeps a foot inside his slipper, uses it to tap a beat; slow, insistent. Uncle's right fingers cradle the side of his tumbler, his left drum its bottom with a rhythm matching Kip's. Hoyle twirls a strand of hair around her right index finger with a pace doubling theirs. This evening it is not wound up on her head, as earlier when she knelt, digging Mount Anf, but flowing over her shoulders. So Hoyle, finally says Uncle, this is what you excavate for me, stories? I laugh, pant, pant with laughter. I try to keep it silent; use nearly all of my strength trying for silence. Kip, Hoyle, and Uncle laugh too: bending down, straightening up, slapping thighs, palms, foreheads. I do stay silent, but my panting ruffles Hoyle's papers and everyone's hair, which no one notes, probably assuming it is the wind, which is now nearly raging. For years, Uncle hired teams of excavators: I'd watch them fan out across Mount Anf's slope, mass treasure hunting, notice them unearth very little. (Artificial hills contain different but just as interesting information on agricultural and historical possibilities as natural ones do). Then Uncle hired Hoyle as their supervisor. Now they work under Hoyle who, even with disabled vision, operates her crew skillfully, excavating and recording piles of Mount Anf animal, artificial, mineral riches. Laughter peters out of Kip, Hoyle and Uncle, now collapsed, arms loosely draped around one another. To their left, a massive rectangular table draped in linen: yellow background patterned with different sizes and shades of blue x's. Three pewter place settings—plate, goblet, tiny but destructive looking cutlery, especially the fork—are set at the table. Beneath the cutlery, a napkin with the identical design but reversed color scheme of the table's linen: blue, dotted with different sizes and shades of yellow x's. Kip shuffles into the kitchen, stirs a pot simmering on the stove, ladles its contents—his stew specialty: lamb, shallots, sherry—into three bowls, snaps his fingers, signaling Hoyle and Uncle to come get their meal. Kip's fingers are spider thin and, despite his youth wrinkled, brown, dry as timber. These wrinkles developed gradually, as did the ripples at the back of Hoyle's thighs. When I first met Hoyle and Kip all their skin was pulled tight, like the aluminum skin of a plane. But over the years, though they are both very thin, their skin has turned somewhat loose in places, or dimpled. Uncle's facial skin has always been translucent, like a layer of ice on a lake, yet his hands and neck show deep wrinkling. At this point my own skin is a soft, flexible covering; inevitably, despite the protective gear designed by Uncle, it will grow withered by tiredness and weather. Around the table, Kip, Hoyle and Uncle sip, chew, chuckle. It is a warm scene, and happy. Clearly no more will be read from the story, or said about it. The weather has suddenly calmed. I shoot home because I feel tired, not because of sadness. During the war, Gird is taken captive, not by an army but a private citizen, named Serno, who lives with his daughter, Srena, and son-in-law, Dirsh. Dirsh has long since been off fighting. Before the war, Dirsh helps with hunting for food,. repairing the home. But this youth, like other town youths, becomes a soldier. By the time Gird is captured, imprisoned in the family's basement. One day, Serno, preparing protection for coming cold weather, drives nails into wood placed over house and barn windows. Because his eyesight is feeble, he hammers one into the flesh between his right thumb and lower forefinger knuckle. He howls, wrings the damaged hand, falls off of his ladder, smacks into the ground. Later, heavily bandaged, clenching a cane, he hobbles into Gird's cell: "Soldier," he begins. Gird meets his eyes; Serno waves the cane near Gird's torso. "Soldier, you could get out of your cell, help us out with some chores. We'd give you, you know, cleaner food." Gird, in a low mood, and disoriented, after the inactivity that accompanies imprisonment, swells with gratitude at this offer. The first weeks he doesn't work alone, but with recuperating Serno, following, watching, barking out orders. In evening, Gird returns to his cell: eats, bathes, sleeps. He's attended there by Srena: "Soldier," she calls outside of his cell, signaling a platter of food, or a basin of water. Within a few months, Serno no longer follows Gird's every move. He is healed enough to take on light work, and also trusts his prisoner. At this same time, Srena starts visiting Gird in the night. "Soldier," he hears a voice whisper, jostling him out of deep sleep, opening his eyes up to Srena; night-dressed, medallion hanging from a leather strand draped around her neck. "Soldier," she repeats, letting herself into his cell, bringing his finger tips to her moist inner thighs. #34Soldier, soldier" she chants, stroking his cheekbones, his shoulders. When she leaves, Gird dozes, replays Srena, is overcome at once with deep pleasure, and an unsettling tug. He replays Srena: smell, hair, skin‹something in her skin‹waist, shoulders, sides of the buttocks, soft and bumpy at once, an uneasy combination of textures. Srena pads downstairs the next night, and the night after that; each union brings longer periods of controlled excitement. Neither discuss her marks, until Dirsh returns home for his weekend pass. Gird stays in his basement-cell during this period, but the night Dirsh leaves, Srena pads downstairs, enters Gird's arms as if she's in some frenzied heat. Gird feels himself turn clammy: these lips covering his, are just fresh from covering that husband's. But this disgust is replaced by a more horrible one when he sees and feels the fresh bumps on her waist, shoulders, sides of the buttocks. Gird nails her with a stare; she wrinkles her forehead, says she must tell him some things about her husband. "It isn't that he doesn't love me...he's very weak...nights with Dirsh are damaged; he is damage. But when he leaves I don't believe we were ever together. So I document; carve myself, with little marks." That night, Srena rocks Gird into sleep. The next night she repeats her story, adding on, then the next adding on again. Soon she doesn't stop talking about the life she shared with Dirsh, reciting scenes in the same and in different orders, "It isn't that he doesn't love me," she always begins. And she stresses Dirsh's frailty: "Dirsh's home is the battlefield. Elsewhere he is thread. You and I are constructed of much more solid material." Loathing, whose degree and intensity are unfamiliar, bubbles up in Gird's stomach. Several months after Dirsh leaves, Srena is visibly with child; everyone, including her father Serno, thinks she made this child together with her solid, soldier husband, home for that weekend, before speeding back to war. Srena and Gird know that the child cannot belong to Dirsh, who doesn't perform reproductive penetration. The new life becomes the hub of Srena's attention, shifting it off of her husband; the embraces with Gird again return to periods that are long, extended; Gird strokes Srena's belly, she imagines their child; Gird details plans to track Dirsh down, and to destroy him. He plans how he will tell this to Srena, whose compassion for that husband is fixed. He plans how he someday will tell her. He never tells her. Srena dies in childbirth. Dirsh disappears in battle. For nearly a year, Serno and Gird live together, care for the baby boy Serno names, in honor of who he thinks is his dead father, Dirsh. The war subsides, Serno dies with a last request: Gird must take the baby, head home to Munn with him, care for him. Which Gird does, after renaming his son Kip. Lynn Crawford, Solow, Hard Press Editions, 1995. In a forest on a pond is a boat. A mountainside city brims with erections, vegetation. Moonbeams color the oarsman stopped on its bottom. It is night, frigid. A brook flows through the forest. Amid straight-ceilinged constructions, amid timber, rises a spired building, a residence. At a point on the brook is a gorge. A captain lives in this residence. Foliage loads the gorge, molds it into the form of a booth, of a throne. Her living-room is ivory, expansive; galactic bodies spin outside its window. On the floor of the woods are stones, soil; it is a floor that looks to be throbbing. Inside this suite, a ditch. Solid, uniform counts; not short, not delirious. Iron cribs, girdling nautical equipment, encircle it. The oarsman abandons his oars his boat the pond for shore. Mid-ditch the captain reclines, stiffens into her furniture. On shore woods tower; oaks hold shocking proportions. She's visualizing portions of her sailors: padding wrists, tiny thighs, lips rimmed with saliva. The oarsman continues along throbbing ground; a violence is lodged in his throat--a lodged violence, or object. In her grip a tiller. He roves his tongue along the bones of his mouth, bows it into his airhole. It fingers tonic, it is weighted with direction. The movement provokes him, or conceivably is aroused by resonation.